With fall weddings on our minds, and our hearts bursting with our latest wedding advice for do-it-yourself events, today’s blog is one that we couldn’t wait to share with you! We even have a budget-friendly real wedding feature that may just leave you smitten for days on end. It’s an incredible honor to have our team’s tip and beautiful blooms and expert advice featured on A Practical Wedding, The Good Shuffle, AllSeated, SheFinds, The Every Last Detail and Opploans. We hope you enjoy it! 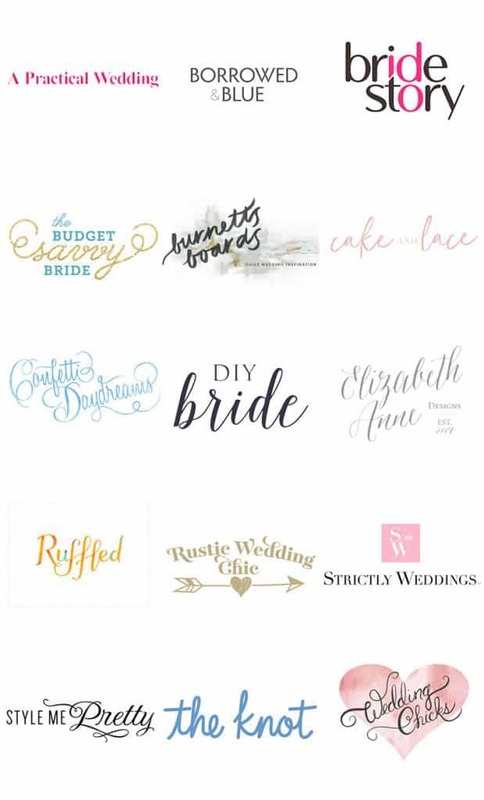 Budget brides rejoice! 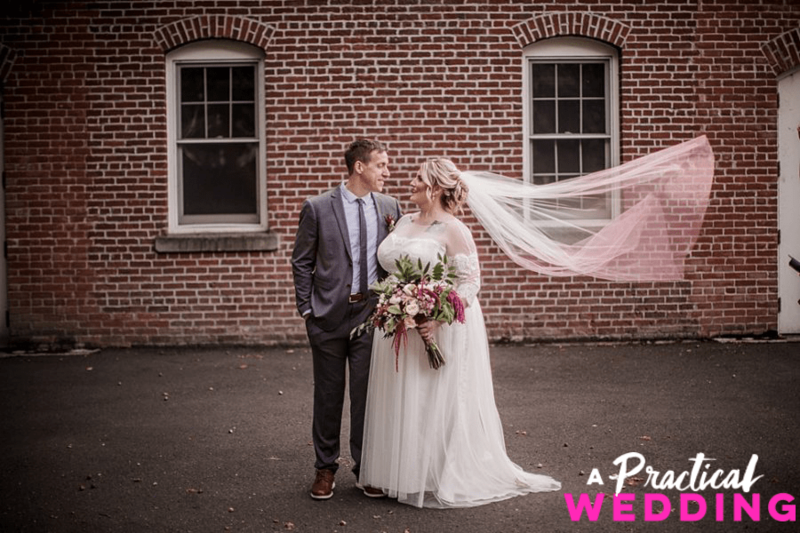 A Practical Wedding recently featured one of our lovely couples, who pulled off a bourbon, beer and love-filled celebration with a $15,000 spend limit. Heather and Jesse were able to cut costs where it counted and still threw the wedding of a lifetime that was exactly what they envisioned. Take 5 Photography captured every moment, including the bouquets and centerpieces Heather’s mother designed using Blooms by the Box flowers. Thank you to A Practical Wedding for sharing Heather and Jesse’s do-it-yourself day! Check out their real wedding feature by browsing here. Whether you’re an event planner, venue coordinator or even an event rental company, reputation matters! Why? Reputation not only leads to one of the highest means of bookings (referrals!) but also builds a positive report and could position your company has an opinion leader for the industry. 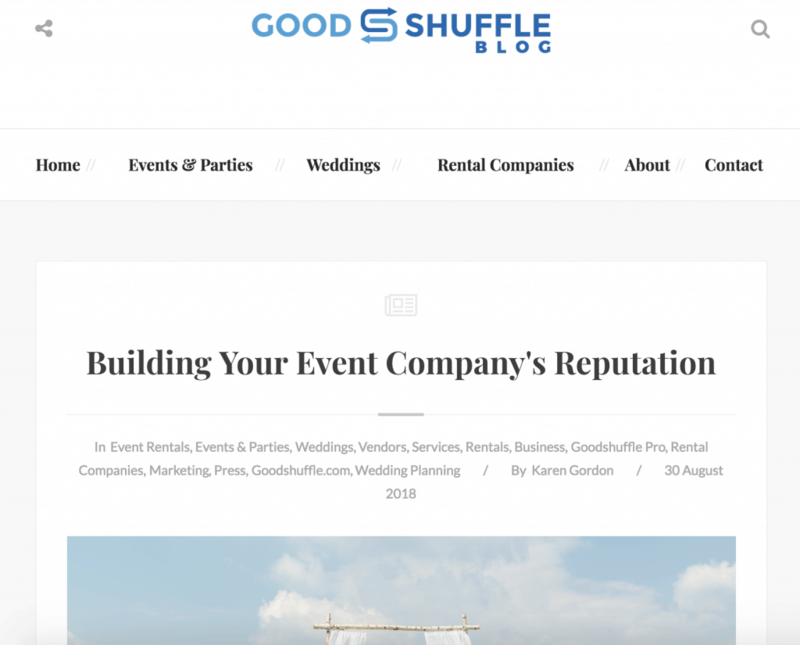 Along with other savvy event professionals, we’ve collaborated with The Good Shuffle to provide the best strategies when it comes to Building Your Event Company’s Reputation. From asking for reviews and handling bad reviews to earning press features, following these simple strategies can lead you to a path of a healthy reputation in the event community. Access the full article here. 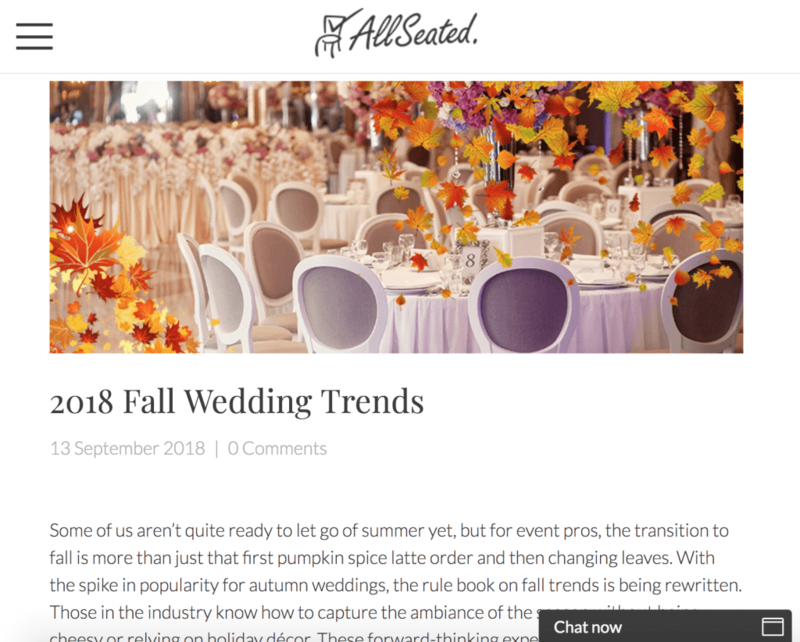 We have a secret…fall may be one of our favorite seasons to say, “I do!” It’s this reason that we are jumping with joy to share the biggest trends for 2018 fall weddings with our friends at AllSeated. And, trust us, these trends aren’t necessarily the season’s traditional trends of mums, burgundy, and burlap! Our own, Danielle, predicts a shift away from rose gold accents and a perfect mixture of feminine and masculine details. Think soft florals filled in copper compote centerpieces! We’re are so excited to see 2018 Fall Wedding Trends brought to life, and to get a sneak peek of what’s to come, browse the article here. Let’s be honest – no matter how much you plan, sometimes things happen! 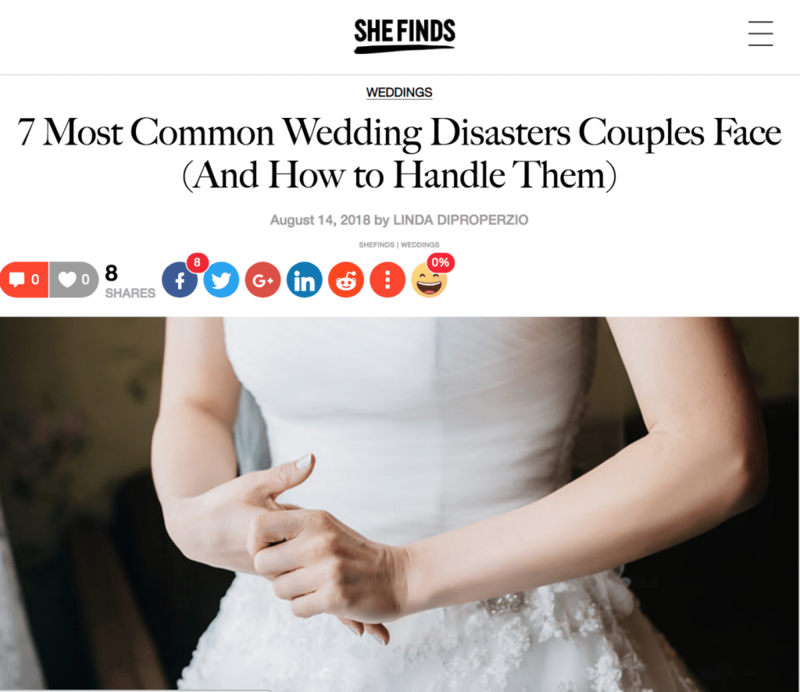 This may not be the easiest topic to talk about, but you’ll thank us after you read our collab with SheFinds on the 7 Most Common Wedding Disasters Couples Face. From horrible weather and losing your venue to a melting cake and everything in between, you’ll be equipped to tackle whatever may come your way. Be sure to read what our very own, Joan, suggestions on how to handle allergic reactions caused by your flower selection too! View the full article here. One mistake couples make during the wedding planning process is delay the design of the seating chart. And honestly, we can’t say we blame you! 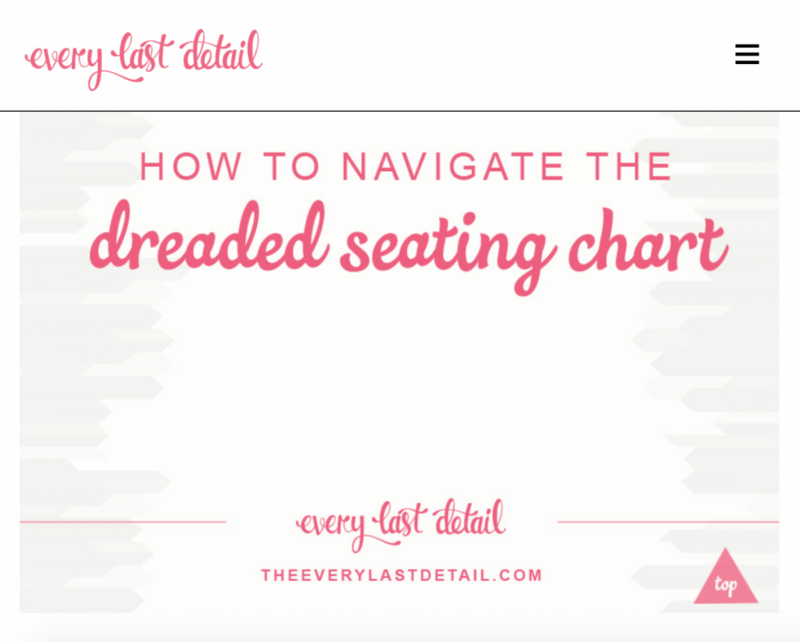 Thanks to The Every Last Detail, they’ve created an article to answer the tough questions and give effective tactics on How to Navigate the Dreaded Seating Chart with real-life considerations. We are grateful to be a part of the article to discuss how your budget can play a factor in the number of tables and chairs you are able to provide. Did you consider that adding an extract table that would mean an additional centerpiece too? Read more on Danielle’s thoughts on this scenario and other seating chart strategies by browsing here. It’s probably safe to say that you’ve had to budget at some point or another during your lifetime. And, now that you are engaged, budgeting takes new life as you create a budget with your partner. 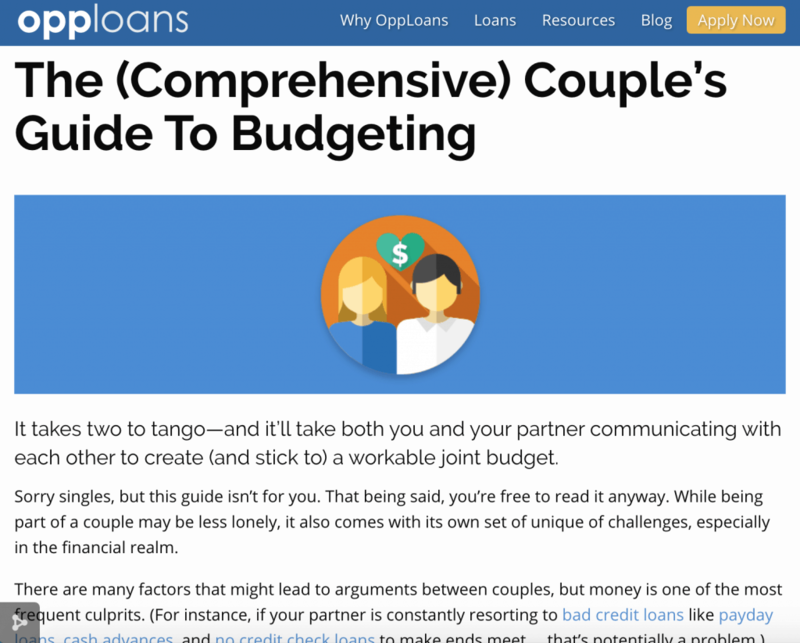 Our friends at Opploans are sharing their top strategies to build a path of clear communication for you and your significant other in designing and maintaining an effective budget at many stages of your life – including your wedding. For your wedding day flowers, Joan recommends that couples discuss their must-haves and avoid overspending on things that you could do yourself. Access Joan’s deep analysis on wedding budgeting and Oppoloans full article on The (Comprehensive) Couple’s Guide to Budgeting by clicking here.